Bug bites can be irritating because they are itchy and not good to look at. They can also be bothersome if it occurs in places where you do not want to have them such as your face. Bug bites can occur as a simple red bump which looks like a mosquito bite or it can be a huge bump like a cockroach bite. It can also be a bee sting. Fortunately, there is a mixture of essential oils that can help you address this problem. If you have a bug bite, there is a blend which you can use to remove the itchiness and then minimize the bump. This is called as the Purification blend. All you need to do is do the mixture and apply it on the bug bite. People who have used the mixture have claimed that it did not only help in removing the itchiness. It also helped in removing the bump. In fact, it is completely gone for some people. The best part is that creating the Purification blend is easy. All you need are some essential oils like Melaleuca (Melaleuca alternifolia), Citronella (Cymbopogon nardus), rosemary (Rosmarinus officinalis), lemongrass (Cymbopogon flexuosus), myrtle (Myrtus communis) and lavandin (Lavandula x hybrida). This mixture can be applied on the skin and it can also repel insects. This makes it a nice mosquito repellant if you are in infested areas. You can also take the mixture to the next level by mixing in some other essential oils to the Purification blend. You can add peppermint, orange and thieves and put it in water. From here, the oil can act as a spray which you can put on your skin. You can also increase its effects by putting some extra virgin olive oil to the mixture. This will ensure that your skin stays supple. However, there are some downsides with using a natural mosquito repellent. For one, you will need to constantly re-apply it onto your skin. You have to do this unless you want to be bitten by insects. This is okay since you will not have harmful chemicals in your body. 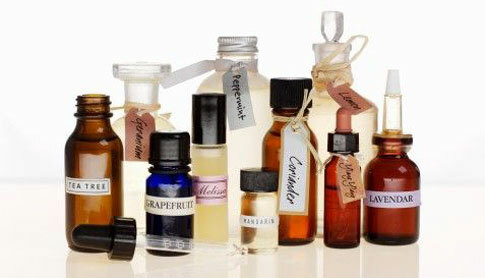 You will also need to do your homework and study these oils lest you want to form sensitization with them. This will make sure that you are safely applying the oil on your skin. A lot of people love this mixture because it addresses the problem instantly. A few drops on the bite and you will feel that the itchiness will instantly stop. It also smells nice on the skin which is a plus. So if you want to remove that stubborn insect bite, all you need to do is mix some essential oils and apply it. You will be amazed with the results. It will not only make the itchiness go away, it will remove the insect bite completely. So as you can see, aromatherapy is not just for curing conditions such as headaches or arthritis or alleviating stress. It can also be used to treat skin condition. All it takes is just the right mixture of essential oils and this will do the job.